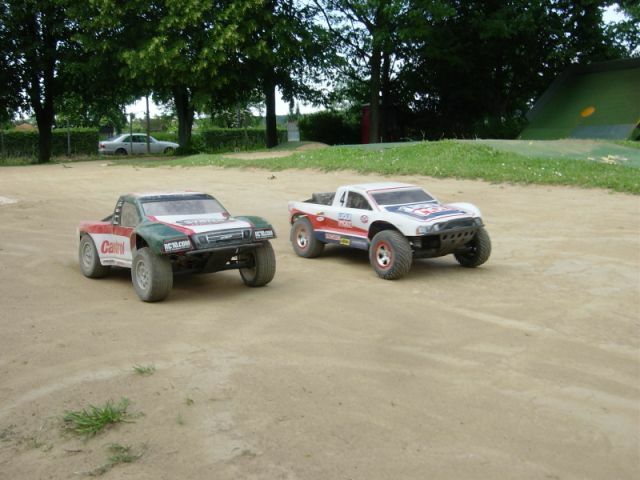 Here are some pics of the first rollout of the new Associated SC10 compared to the Slash on our local track. Suprisingly the Slash tires hook up better to the hard packed dirt, which gives an advantage over the SC10 regardless of higher weight and higher center of gravity. new class for SHORT COURSE cars!